The way dentistry is practiced today is rapidly changing due to the digital dentistry workflow. Navigating these changes can feel complex, and it really doesn’t have to be. Digital dentistry has undergone a tremendous evolution over the last few years, and has emerged as a simple and efficient option for the dental practice and lab. 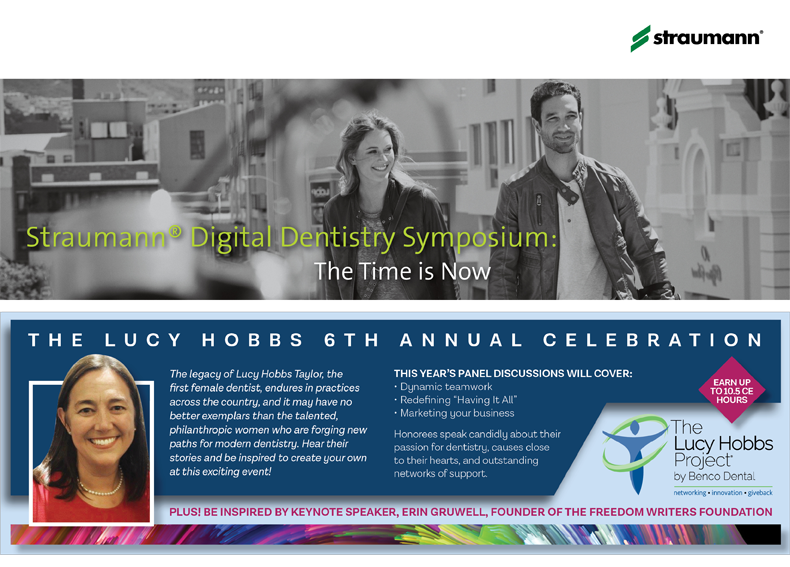 This Symposium is designed with the dental team in mind, and covers how to efficiently and simply incorporate the full gamut of the digital workflow into your practice. Whether you are just getting started with digital dentistry, or using it on a daily basis in your practice, there is something for everyone. Topics include pretreatment planning, guided surgery, final restoration design, delivery, and practice management information for making the digital dentistry workflow simple, efficient, and profitable for your practice. The time is now to understand how to implement digital dentistry into your practice.